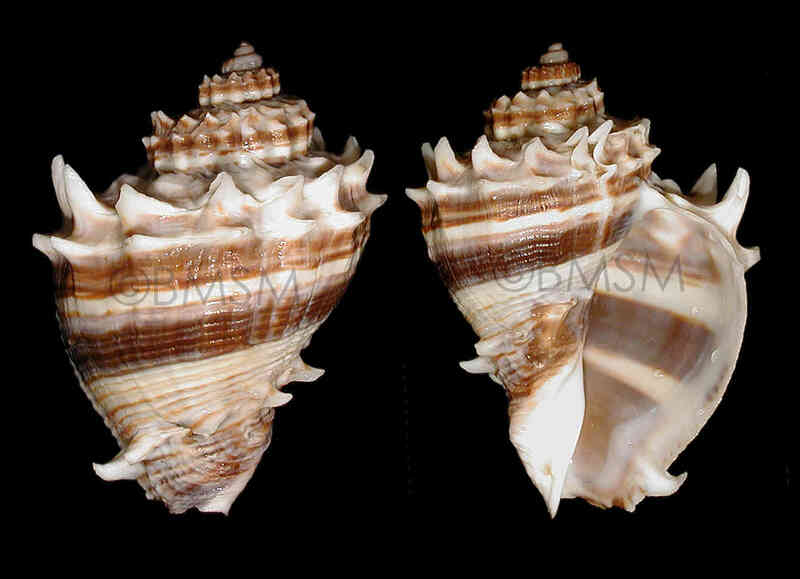 Shell size to 140 mm; shell thick, with a large body whorl. Last few whorls bear single or double rows of hollow spines. 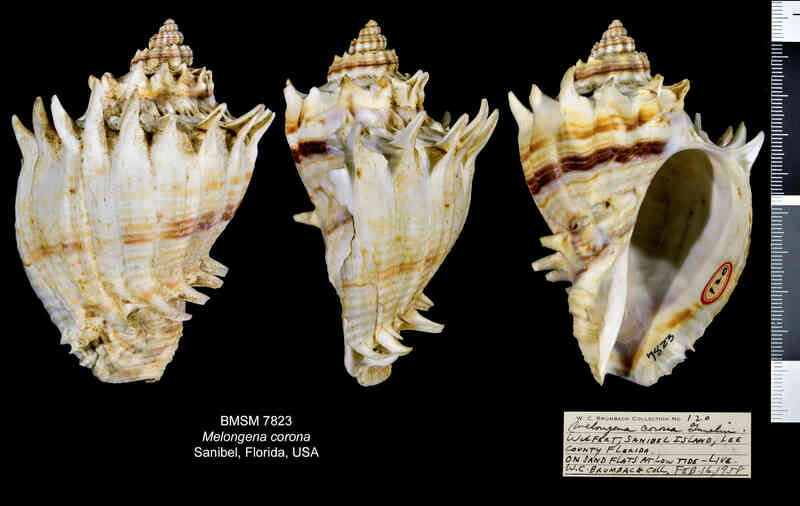 Base of shell sometimes with single row of smaller, blunt spines. Color light gray or white, with bluish, brownish, or grayish bands. The egg cases are flat, unadorned, and usually stacked and attached at one of the sides to hard surfaces. 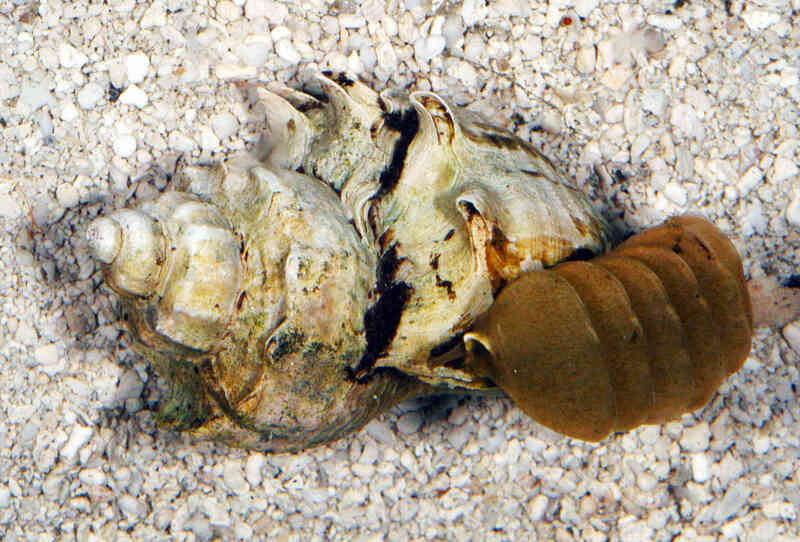 The egg cases in the picture (taken in the Museum tank) are attached to a living crown conch. 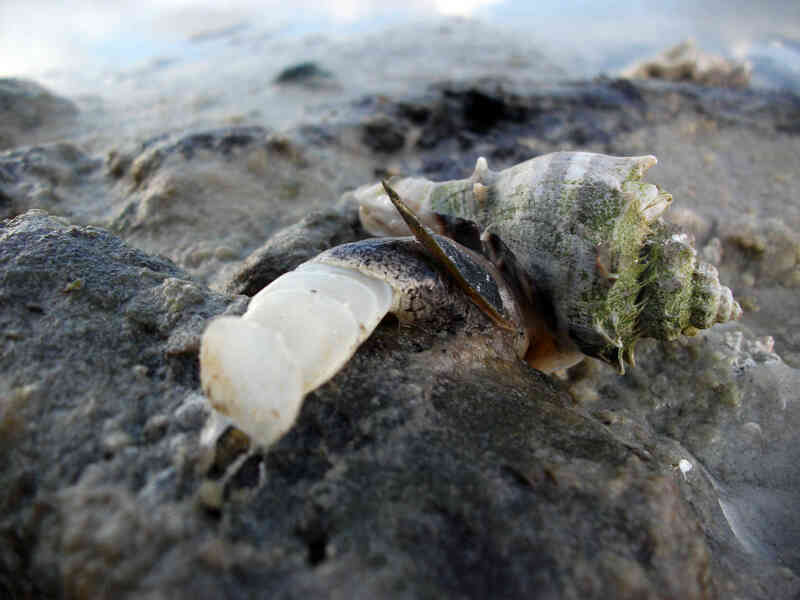 And the photo of the female conch laying egg cases was taken by Kim Trebatoski on Bunche Beach, Fort Myers, on May 2014, at low tide.